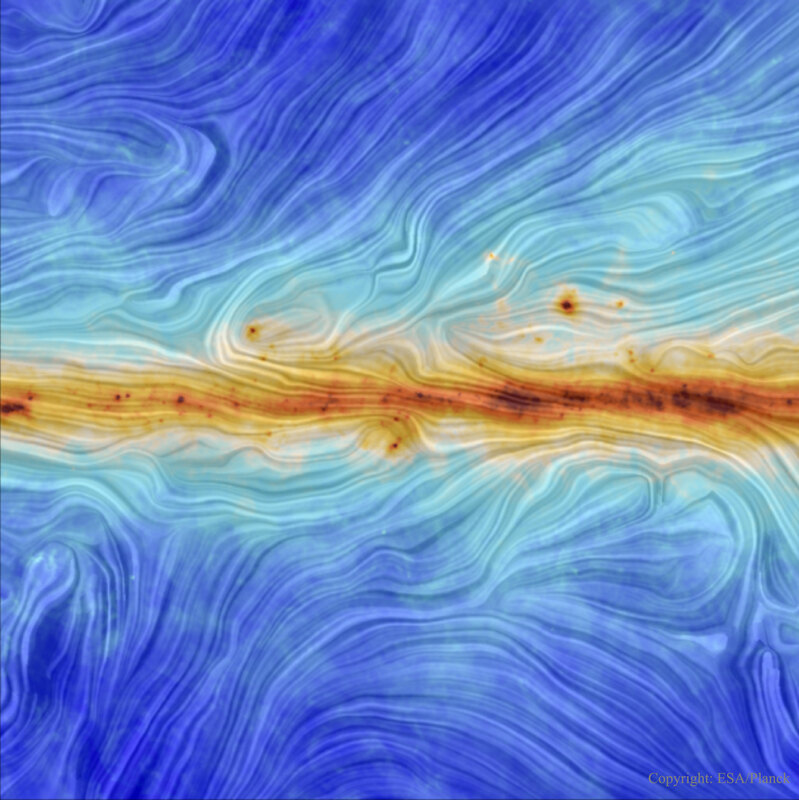 Explanation: What does the magnetic field of our Galaxy look like? It has long been known that a modest magnetic field pervades our Milky Way Galaxy because it is seen to align small dust grains that scatter background light. Only recently, however, has the Sun-orbiting Planck satellite made a high-resolution map of this field. Colour coded, the 30-degree wide map confirms, among other things, that the Galaxy's interstellar magnetism is strongest in the central disk. The revolution of charged gas around the Galactic centre creates this magnetism, and it is hypothesized that viewed from the top, the Milky Way's magnetic field would appear as a spiral swirling out from the centre. What caused many of the details in this and similar Planck maps -- and how magnetism in general affected our Galaxy's evolution -- will likely remain topics of research for years to come.